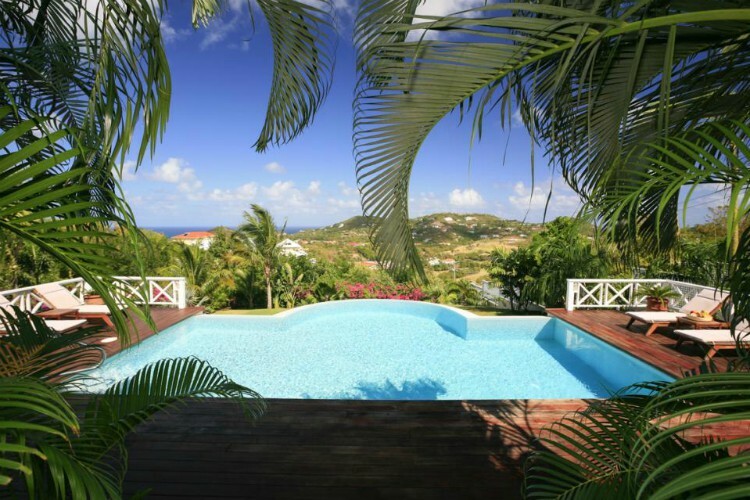 Considering a holiday to the paradise islands of the Caribbean? Everyone’s had that tingle of excitement when they think of leaving glum weather and the workday world behind to jet off somewhere with an endless white beach, rolling blue waters under a cloudless blue sky and one of those rum cocktails you drink straight out of a coconut. 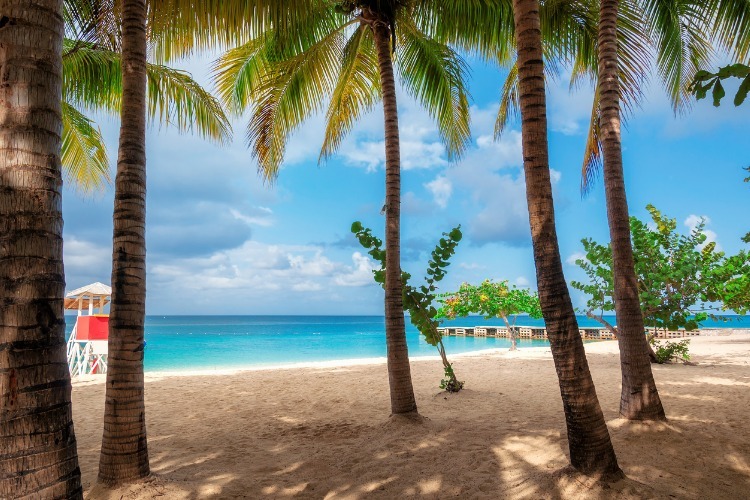 To make your planning all the more relaxed, we’ve written an essential guide to Barbados St Lucia and, Jamaica for every type of trip. Barbados is a relatively small Caribbean island, at only a 166 square miles. And while it’s rightly famed for its excellent beaches on the west coast, as an island, it really does have it all (cliché, we know). Early on, you’ll quickly come to realise that Barbados is mostly flat, bar the odd rolling hills, so if you’re up for discovering the island from a different perspective, make the most of the beguiling hikes on offer. On the island, you will also find first-class nightlife, wild surf on the east coast, moreish Caribbean cuisine and coral reefs to live out all of your snorkelling dreams. But what makes Barbados even more special, are its people. Barbadians, called Bajans, are as lovely as they’re depicted to be. Friendly souls ready to greet you with a smile and a warm demeanour to match. They’ll make your holiday to Barbados as easy going as possible, which in turn will make you want to come back again and again. When it comes to weather, you just can’t beat January through to April. You’ll avoid the humidity, still enjoy balmy weather and yet it will still be much cooler than other months of the year. The downside? Prices will surge during the ‘winter’ months with villas and hotels upping the rates. If you opt for what would be our summer, then there’s an increased risk of hurricanes. While Barbados usually escapes direct hits, you may come across heavy rain. – On the south coast of Barbados, you’ll find Miami Beach, also known as Enterprise Beach. A popular spot with locals, we’d recommend visiting mid-week to avoid the crowds. Once there you can rent beach chairs or boogie boards from nearby vendors. And as for snacks, you can either bring your own or take your pick from the stalls selling hot dogs and fish cakes in the much needed cool of the shade. – Take it easy on the pristine Mullins Beach, one of the most popular beaches on the west coast. 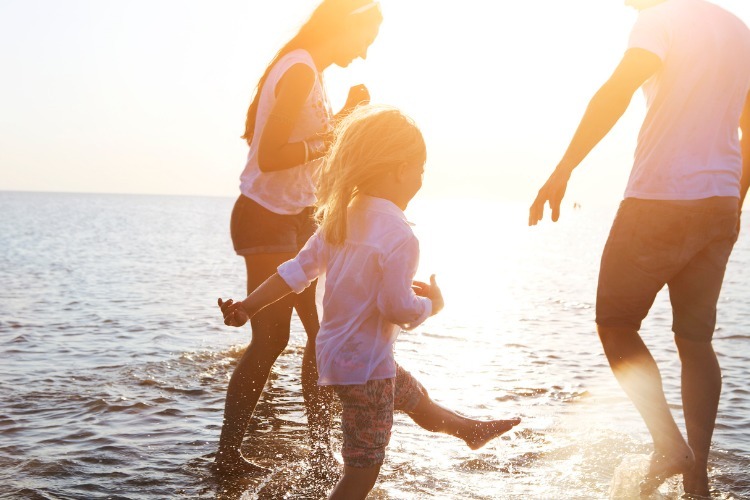 There’s plenty on offer here; relax in a lounge chair under the shade of palm trees, make the most of the warm waters by snorkelling, or simply revel in the colourful sea life which will appeal to kids’ imaginations. The beach bar is a great spot grab a Banks beer, as well as a light bite to eat. Car renters will also be glad to know that the beach has a car park just across the road – to make beach tripping all the easier. – Crane Beach is one of Barbados’ most beautiful beaches. Thanks to its pink, powder-soft sand, tropical breeze and Caribbean sun, it’s a big hit with honeymooners, boogie boarders and families with older children. The waves do get very powerful, so if you fancy boogie boarding, just know that you’ll have to bring your own board. To air on the side of caution, a lifeguarded mans the station occasionally – but we recommend being cautious at all times. – Pebbles Beach is a favourite with parents of younger children. Here the gentle waves make reassuring swims for toddlers, while your teens can try their hand at stand up paddle boarding or kayaking. Pebbles Beach is a lovely spot for sunbathing or strolling along the beach, but no trip is complete without a stop at Cuz’s Fish Stand. They have some of the most moreish fish sandwiches with a reputation that exceeds itself. – Dover Beach sits pretty in the middle of the infamous St Lawerence Gap. In the thick of all the action, you can predict Dover to be one of the most popular beaches on the island. The waters are fairly calm, the shoreline extensive, vendors selling arts and crafts, beach volleyball and a little shopping village selling all the beach essentials. 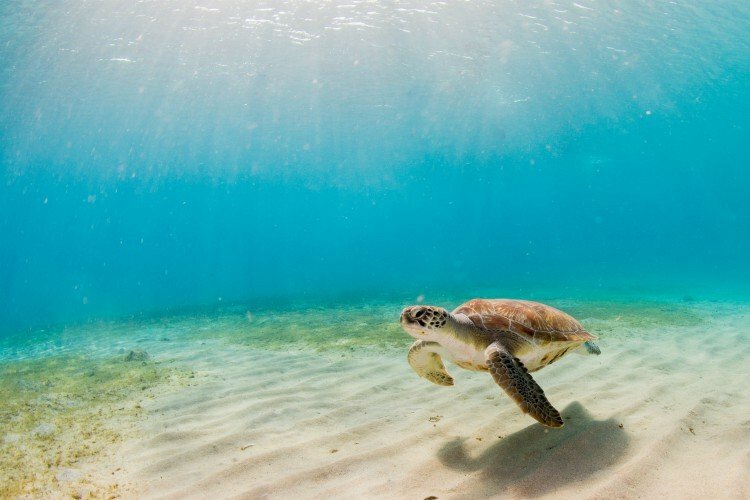 – Barbados’ marine life features the hawksbill and leatherback sea turtle – unique to the island; you can spot them nesting in the calm waters along the west coast. Visitors can swim amongst them, but like anything, please be mindful of their habitat. – If you love to party, then you’ve come to the right place – Barbados wakes up when the sun goes down. From high-energy nightclubs and cocktail bars to top-notch VIP venues (with a fair share of celeb spottings), there’s something to satisfy every itch. Head on down to St. Lawrence Gap which is famous for its eclectic mix of restaurants and bars – not to be missed on the weekends. – Barbados is relatively flat, so there’s plenty of scope to hike across the island. The Barbados National Trust sponsors Hike Barbados: which are free Sunday hikes. They range from relaxed strolls covering 5 miles to more intense treks of 14 miles. Where there’s a will, there’s a nature walk. – Take a break from beach life with a stroll through the Flower Forest, a 20-hectare botanical garden which houses heliconias and breadfruit trees. From the forest, you will also be able to appreciate the views overlooking the east coast, and take respite in the cafe for a bite to eat. – Since the island is famed for its fresh seafood, why not try your luck at catching your own. The fishing season runs from January to April, but you can fish year-round. Cannon Charters is the preferred choice for game fishing. 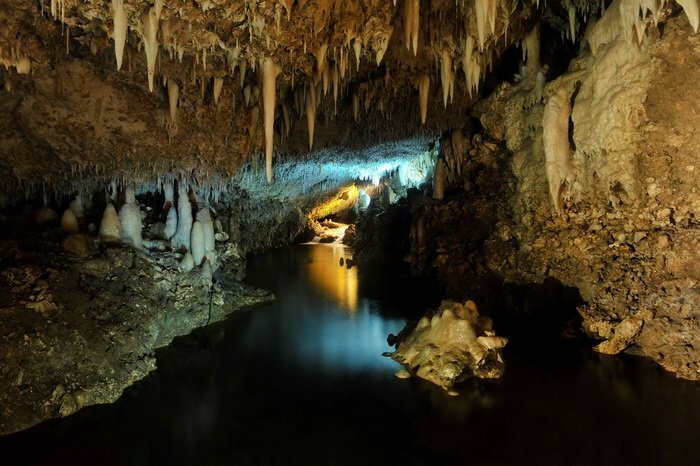 – Your little ones will squeal at the sight of Harrison’s Cave. This crystallised limestone cave is best experienced by tram. The hour-long tour includes care of an expert guide and chance to see the flowing streams and waterfalls. 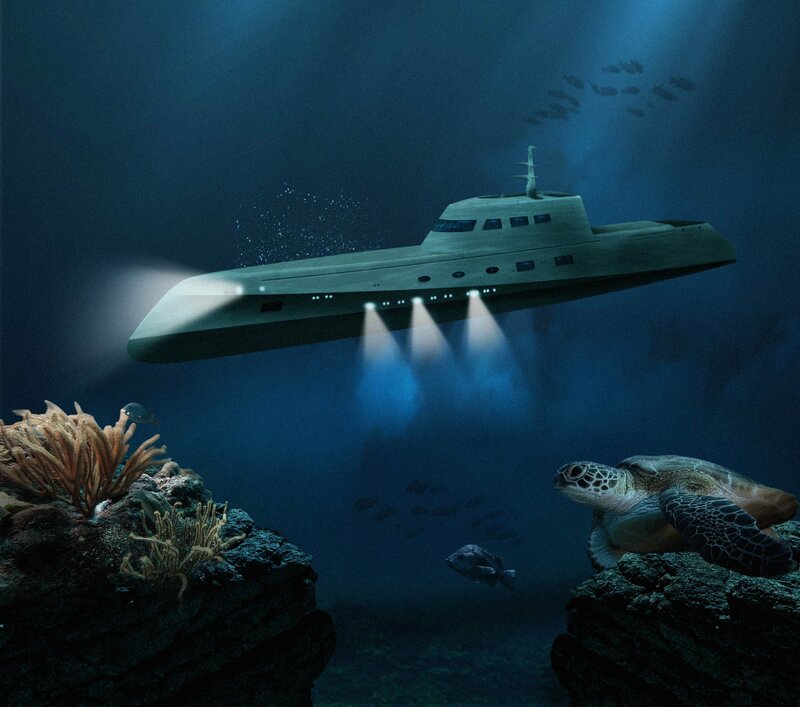 – One of the best family activities in Barbados is the award-winning Atlantis Submarine tour. Fully submerged in the Caribbean sea, you’ll get up close to tropical marine life, coral formations and even a shipwreck. Depths reach 150 feet, so this is one adventure not to be missed. The full tour lasts about 90 minutes, but it’s worth noting that you’ll only be underwater for 45 minutes (approx). – Across Dover Beach is the Kensington Oval, a stadium primarily used for cricket. So if you have sports-loving kids then this will be right up their street. Cricket is the national sport of Barbados, so get involved and watch a game during the season. – Join an off-road adventure with Island Safari. Suitable for children five years old and above, you and your brood will get to visit the island’s more hidden sights, plus there will be plenty of photo opportunities (make sure your camera/phones are charged and ready). The tour includes transfer, snacks, refreshments and a Bajan buffet lunch. – The Barbados Wildlife Reserve is an attraction the whole family will enjoy – regardless of age. Once there, you’ll have the opportunity to get at close range with animals including the Barbados Green Monkeys, Brocket Deer and mara (a cross between a guinea pig and a small kangaroo). It’s a self-guided tour so you can explore at your leisure. – While in Bridgetown, stop for a bite to eat at Waterfront Cafe. The dining terrace overlooks the fishing boats moored along the Careenage, so you’re guaranteed a relaxing setting. The restaurant first opened in 1984 and continued to be run by Sue Walcott who is a gem! 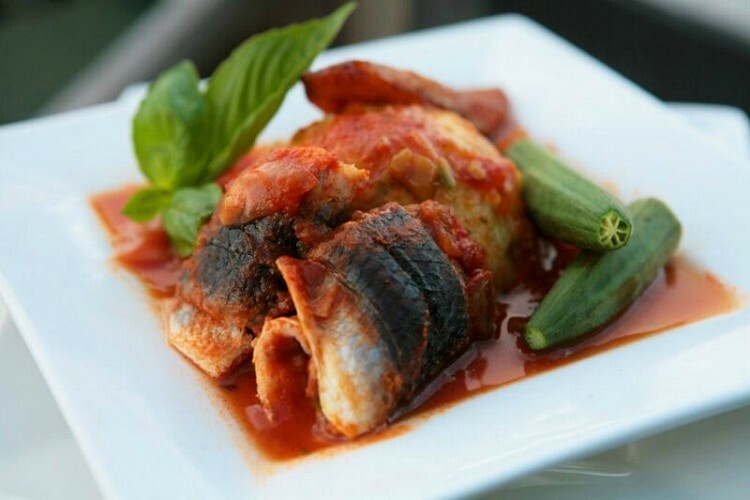 You can pop by for a drink but we recommend trying the flying fish and cou-cou, a menu staple – trust us! – After your visit to Harrison’s Cave, pop into the St. Thomas Chutney’s for an authentic blend of Caribbean and Indian cuisine. Opt for a goat roti packed with spice-laden veggies. They’re incredibly filling, light on the wallet and you’ll be left wanting more and more. – If you’re after an authentic Bajan buffet, the Atlantis is a must. The buffet attracts visitors all across the island – it really is that good. The famous buffet lunch is every Sunday and Wednesday. Enjoy a flavourful mix of Bajan and Caribbean cuisine overlooking the turquoise Caribbean waters. Reservations are encouraged! – Sometimes, the only way to dine is rooftop style. For panoramic sea views, with an ode to romance, visit Cafe Luna. This award-winning restaurant is part of the Little Arches Hotel and invites you to dine under the stars. The menu includes plates of pasta, spare ribs and the luna bouillabaisse. – The home of sweet, sweet rum. And no holiday to Barbados would be complete without sampling a fair share of the world’s finest. If rum punch and piña coladas arent enough to hit the spot, you can book a tour at Mount Gay and take part in one of five different experiences (the bottomless rum sounds like a winner though). The local currency is the Barbados dollar. However, the US dollar is also accepted. 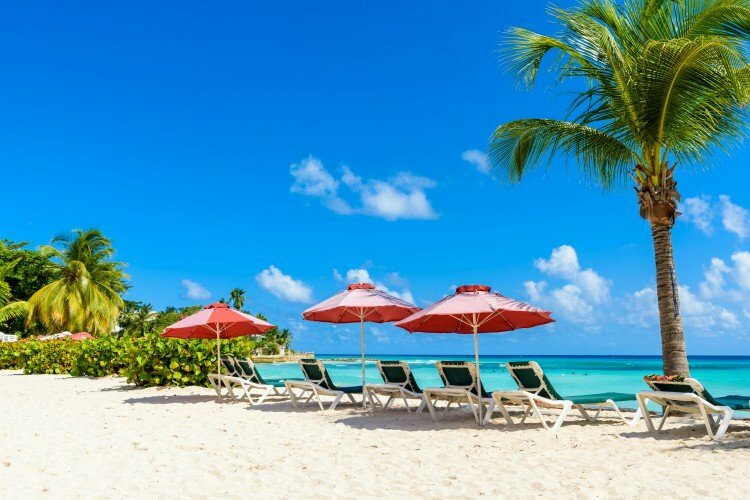 A direct flight from London to Barbados take just under nine hours, flights run frequently from all major airports. Visas aren’t required for UK nationals. English is the official language and used in a formal setting. In informal settings, you might hear the locals charring in Bajan dialect. This country is considered to have a moderate risk of Zika virus transmission. Pregnant women should consider postponing non-essential travel until after the pregnancy. 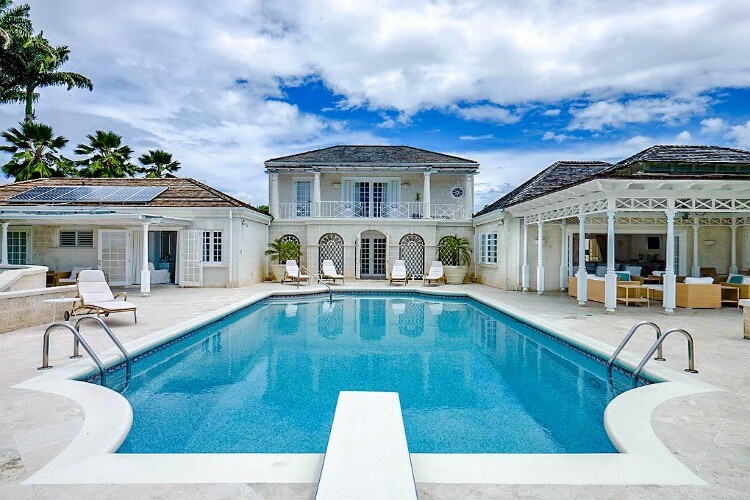 We love the luxurious garden and the grand feel of the Villa Legba, so very Barbados. St Lucia is a picturesque holiday destination located in the southeastern part of the Caribbean Sea. 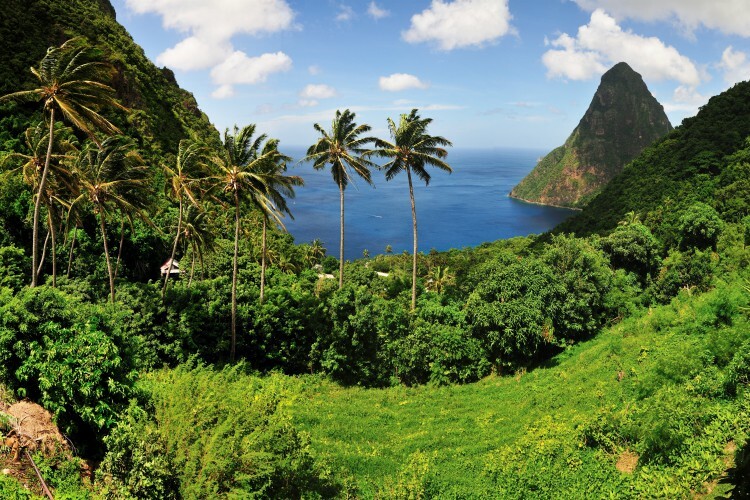 A tiny island in size, St Lucia packs a (rum!) punch with its dramatic landscapes – think volcanic mountains plunging down to the sea, rain forests, sulphur springs, idyllic beaches – a culture mix like no other, a colourful history and a love for anything chocolate! Add in the beautiful botanical gardens, magical bays and heaps of adventure activities such as hiking, mountain biking, zip-lining and all water activities that island living has to offer and you have a fairy-tale holiday destination with everything you could want within easy reach of your villa! So, don’t be fooled by the size of St Lucia; when it comes to holidays it definitely plays in the big leagues. Trust our word when we say: you will never run out of things to do in St Lucia! Like all the Caribbean islands, the best time to visit St Lucia is between December and April, when temperatures are balmy and humidity levels relatively low; obviously, this is also when the rates are at their highest. Hurricane season runs from June to November in the Caribbean and although St Lucia is part of the ‘hurricane belt’ its south-eastern position means the island avoids the worst of it. Bear in mind, though that due to its mountainous terrain, St Lucia is also one of the rainiest islands in the Caribbean (with 216 days of rain a year). May and June are considered ‘shoulder’ months, where you can still benefit from nice weather at lower rates. If you time things right, you might also get to experience the exciting atmosphere of the annual Jazz festival which happens every year at the beginning of May, a bit more on that later! St Lucia offers a great variety of beaches dotted around the island; if you are after leisurely swims then the beaches to the west side of the island are lined by the calm Caribbean seas; if your style is more windsurf than sun lounger, then the beaches on the east coast, opened to the elements of the Atlantic Ocean are windier and wavier, perfect for all types of water sports! – Reduit Beach is by far the biggest, most popular – and therefore crowded – beach in St Lucia. Reduit beach is a mile-long stretch of golden sands lining crystal clear turquoise waters. If you are looking for a relaxing time by the sea, we recommend avoiding weekends when the beach is really crowded, and the party vibe is on. Reduit beach is the perfect spot for families as the calm waters and gentle slope is perfect for safe swimming! – Pigeon Island is a National Landmark in St Lucia, you can access the island by car and spend the day there. The island boasts a few smaller golden beaches where families can relax and sunbathe or swim away from the noises of Reduit beach, (which lies on the other side of the bay). Once you are done lazing by the beach, you can always visit the island and climb all the way to Fort Rodney, visit the ruins and the little museum and learn about the rich history of the island. – If you are after a sense of grandeur and luxury, head straight to Marigot Bay; there you will find a lot of small beaches, one of the most luxurious yacht marinas in the Caribbean and many restaurants and bars. 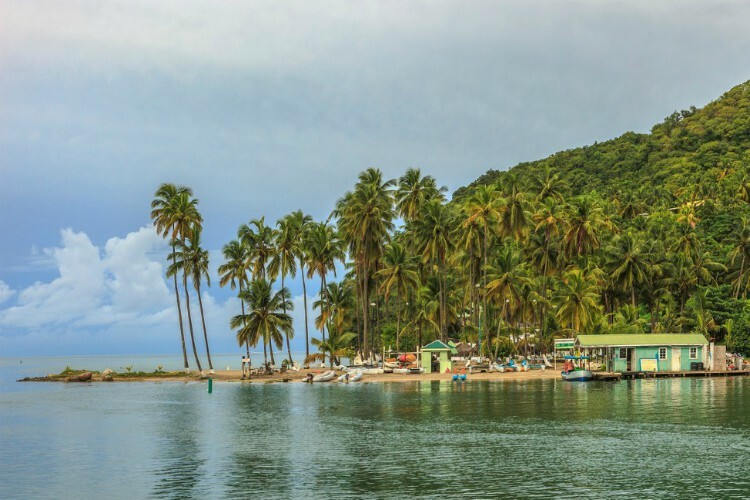 Marigot Bay has featured in a few Hollywood movies and when you get there you will understand why: palm trees, golden sands and a certain je-ne-sais-quoi makes this bay very special. If you are adventurous and looking to run away from the crowds, you can try to go find a few secluded coves along the bay! – Sugar Beach (also known as Jalousie Beach) might not be the longest beach of the island, it doesn’t even boast golden sands and yet we think you should visit it. Why? Because of Sugar Beach’s idyllic situation: it lies at the foot of the Pitons, the 2 volcanic plugs dominating St Lucia. They are a World Heritage site and you can experience the Pitons from the beach and from the water for quite a unique viewpoint! The beach is also great for diving and there is an area reserved to it, away from the boats. You can pay for the resorts loungers which are in the nicer stretch of the beach or use free public next to the diving spot. We’d also advise you to take a water bus to the beach as the view is spectacular and it is more accessible and hassle-free than coming with your own vehicle! – A little North of Sugar Beach, you will find Anse Chastanet. Lost in the lush greenery, at the end of a bumpy road you could almost miss this gem of a beach! Anse Chastanet is a silver sanded beach and it is said to be the very best spot for scuba diving on the island as there is a coral reef just off of the beach. Most visitors are guests at the resort, but the beach is public. Just like for Sugar Beach, we’d recommend taking a water taxi from the Soufriere. – Finally, Anse des Sables is one for the windsurfers and water sport fanatics alike. It might not fit the idyllic postcard that you think of when you picture a Caribbean beach: it is wild, there are waves, the water isn’t always turquoise, and the currents are strong which is exactly why water sports fans will love it. The reef is a windsurfing and kite-surfing school and centre where you can rent equipment or book lessons. The beach is also at the end of the main airport’s runway, so it’s also a perfect spot for plane spotting! – Let your kids go wild at Splash Island water park! We see you rolling your eyes, thinking ‘not another water park’ but hear us out; Splash Island is special in that it is in open water, more precisely along Reduit Beach. The water park is built like an inflatable parkour with slides, climbing walls, trampolines, monkey bars, swings, ropes… You’ll want to have a go too! – If your kids are chocolate fanatics and are keen to learn about the history of cocoa culture in St Lucia, the Boucan by Hotel Chocolat offers an amazing experience in their plantations dating from 1745. The whole family can learn about the process of cultivating cocoa beans from picking the beans in the trees to crafting your very own chocolate bar! You will need to book the tour in advance and while the experience is kid friendly, perched high in the Soufriere, the kids will always have to be under parental control. – The Treetop Adventure park, near Praslin is the perfect way to spend an unforgettable day in St Lucia’s lush rain forest. With activities ranging from hiking to cycling to zip-lining through the canopy, you will definitely find something for everyone in the family. Make sure you book your activity well in advance though as it is an incredibly popular attraction on the island! – If your kids are interested in wildlife and especially marine animals then a whale and dolphin safari might be just the activity for you. During the course of this half day, you will sail St Lucia’s beautiful waters trying to spot those elusive giants! – If half a day of adventure won’t cut it, then you could do an overnight turtle watch at Grande Anse. Grande Anse is now a protected marine reserve, you will be camping overnight on the beach to hopefully witness the incredible spectacle of turtles washing up on the beach to lay their eggs. The tents are provided but don’t forget to bring snacks, water and insects repellent! You can’t go to the Caribbean and not do a rum tasting tour! So head to St Lucia Distillers and learn all about the colourful history of the last distillery in St Lucia. The tour takes an hour and you can always finish off with some tasting (in moderation) and happy shopping! Take a tour of St Lucia’s Soufriere volcano; bathe in hot mud, wash off at stunning waterfalls and stand at the top of the volcano. All of these things are on offer there; the sulphur springs are also said to help people with skin and joint issues, so jump in the mud and enjoy the scenery! 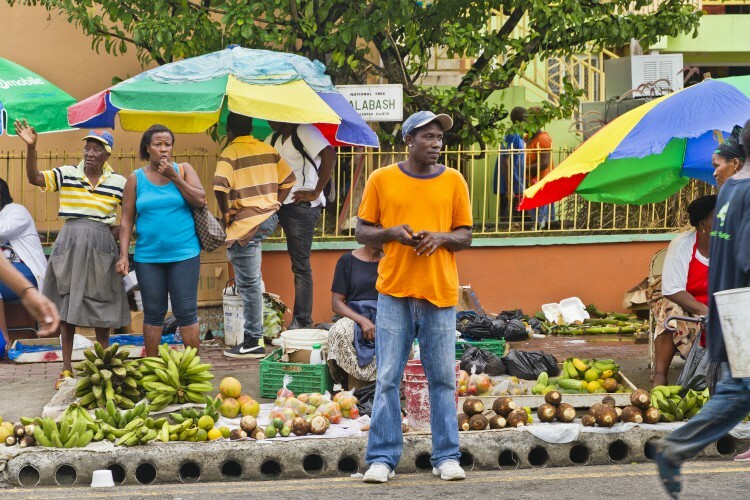 Spend the day in Castries – it might not be the prettiest harbour in the Caribbean, but the main city is the pulse of the island; visit the colourful cathedral, take in the colours and flavours of the town’s market and just follow the pace of island living. If you’re after good vibes, good food and good atmosphere, Gros Islet host a street party every Friday night with ever so tasty local food trucks, mind-blowing cocktails and an atmosphere like no other! 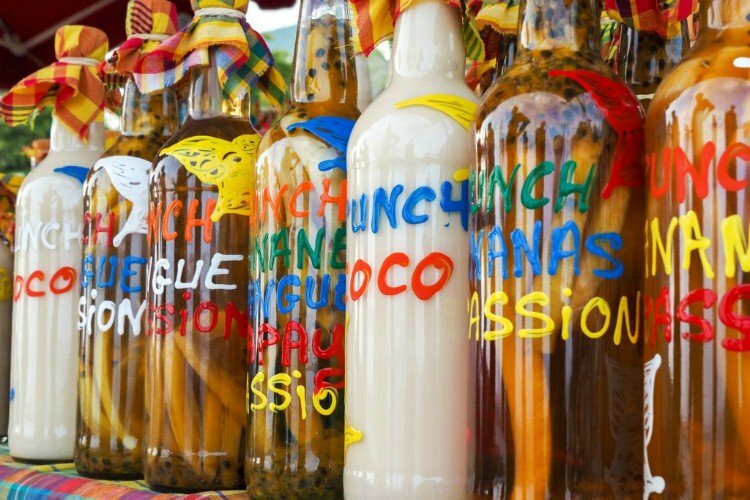 You can dance the night away while sampling delicious local delicacies and sipping on some fine rum cocktails or piton beers! If you’re more into spas than running up a volcano; why not try a chocolate spa treatment? Cocoa spa treatments can be found all over the island but our favourite are the ones at Hotel Chocolat or for an even more upscale experience, Jade Mountain. – St Lucia Food and Rum festival showcases the rich culinary heritage of the island every year in January. – The Jazz Festival in St Lucia is a celebration of the island and Caribbean’s music such as jazz, calypso and r&b music scene and happens each year for a week, beginning of May. – July marks the time for St Lucia’s very own mardi gras-style carnival. The atmosphere, its entrancing rhythms, colourful costumes and people dancing day and night in the torrid Caribbean summer will have you pumped up and ready to move to the island. – If you’re after a more urban and chilled out atmosphere, head to the Roots and Soul festival, in late August – September where local and international reggae, Afro punk and hip hop artists perform for a week! – If you like admiring the view while dining out, then look no further than the Cliff at Cap, one of the hottest tables in the island! You will not find a better view than this one; the food is also a delicious fusion of the refined Caribbean and French cuisines inspired by St Lucia’s rich history. – If you’re after a more traditional experience, Flavours of the grill is set-up in a very insta-worthy colourful cabana in Gros Islet. The menu offers refined versions of Caribbean classics. We love it for the intimate atmosphere and the generous portions! – Dasheene is another amazing fine dining experience in St Lucia. Executive chef, Nigel Mitchel is using native ingredients from local farmers and grown at the resort to offer a refined local cuisine that you 100% know is as fresh as it can be! – Visiting Martha’s tables when in the Soufriere area is an absolute must! It is a great local spot for lunch, offering traditional Caribbean food in a totally authentic, simple set-up. Big portions, hearty food, sensibly priced make for a great culinary experience on the beautiful island. British Airways operate the only direct flight to the south of the island. There is 1 flight a day; make sure you prepare some in-flight entertainment, because you will be in the air and above the seas for 9 hours. The East Caribbean Dollar $ECD is the official currency of the island however $USD is widely used and accepted almost everywhere. 10% of a discretionary tip is welcome for waiters and taxi drivers. But if you are really happy with a service you can always tip more if you want to! We absolutely love the colonial style of Villa Kessi and the carefully chosen decor. Jamaica is an island with a heartbeat of its very own. From the rush of its waterfalls to the dancing in its city streets, the whole country moves to a centuries-old tune. Every little corner of Jamaica is full of life, but none of the amazing things that go on here are ever rushed. The locals have certainly got Island Time down to a tee. You’ll be captivated by the beautiful beaches and crystal-clear waters where you can easily spend hours snorkelling and diving among gardens of coral and tropical fish. But there is just as much going on in the lush forests at the heart of the island, where fruit trees thrive in the red soil and epic waterfalls decorate the imposing mountainsides. 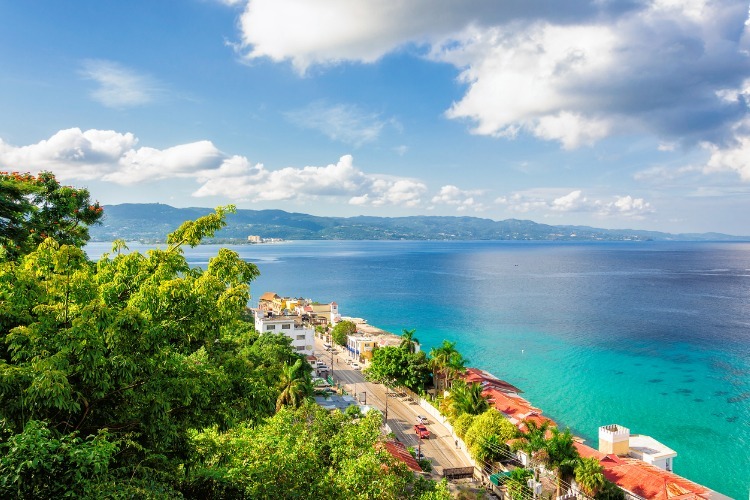 Get the most out of Jamaica by really embracing its rich local culture, which is all about living in unity with the natural rhythm of the earth. Wherever you roam, you’ll come across loads of friendly, music-loving locals and impressive sound systems playing everything from reggae to dancehall to church hymns. Feast your stomach on incredible cuisine and feast your eyes on the gorgeous artwork. Jamaica is so much more than just all-inclusive resorts, and we’re here to prove it. Jamaica, like all Caribbean islands, is subject to some pretty serious weather. Therefore, you’d do best to avoid a visit between August and November when things are at their hottest and stormiest. December to April offers the best weather, but it’s also peak tourist season and the island gets very busy during this time. Shoulder season between April and July makes for a very good option if you want to avoid the crowds (and even bring down the price of your trip a little). Treasure Beach in St. Elizabeth is a six-mile golden stretch of sand on the island’s south coast. It has got a relaxed vibe and is rarely overcrowded. Although there are some good hangout spots along the beach, there’s not much going on in terms of activities or even water sports. Instead, make your way here when you just want to lie back and relax with a drink in your hand. – Seven Mile Beach in Negril is a well-loved and seemingly endless sandy haven. Its white sands and crystalline waters make for a breath-taking panorama, so you’ll definitely want to bring a camera on your visit. You’ll find loads of fun activities and attractions at Seven Mile, and there’s also a great choice of bars and restaurants right on the sand. 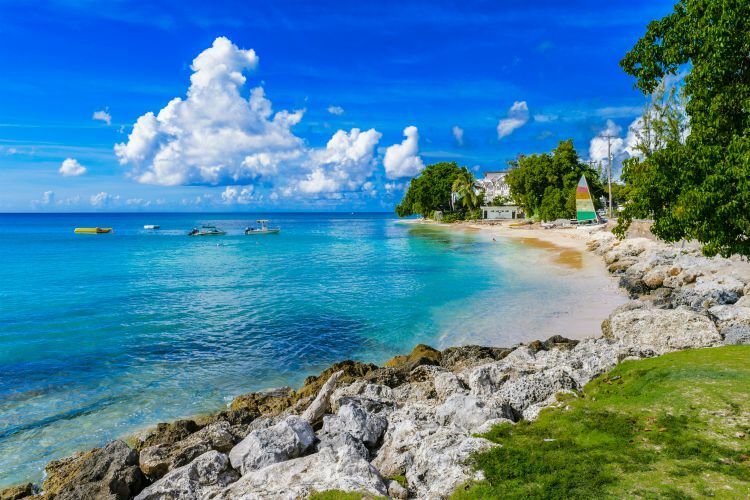 – Doctor’s Cave Beach in Montego Bay is a classic and a must-do for any first-time visitors to Jamaica. Located right in Montego Bay’s liveliest area, it has everything you want and need for a fun day out, including incredible swimming. It’s also located just a short walk from the quieter Cornwall Beach, in case you feel like taking a break from the big crowds. – Frenchman’s Cove in Portland is a small and secluded little gem that’s just about as close to paradise as you could imagine it. The beach is located just where a river meets the ocean, which is a spectacular sight to see, and you can choose to swim in either salt or fresh water. There is also good Jamaican food served right on the beach, so no need to leave anytime soon. – Boston Bay Beach in Port Antonio is one of the most unique beaches on the island where you’ll encounter the greatest Jamaican vibes. Its trademark is the Jerk pits filling the air with delicious foodie scents, but it’s also a hotspot for surfers (with lessons for anyone to try it out). You also shouldn’t be surprised if your visit is soundtracked by a local musician or two. – James Bond Beach in Ochos Rios is indeed the famous filming location of the 007 classic, Dr No. It’s also located just a stone’s throw away from Golden Eye Villa where Ian Fleming wrote the original Bond novels. But beyond that, this is a beautiful little cove with a seriously relaxed vibe, and the home of some really great music gigs throughout the year. – River Rafting on the Martha Brae River is not the action-filled white-water excursion you might have experienced elsewhere. In Jamaica, rafting is a gentle adventure and the perfect way of exploring the Land of Wood and Water off the beaten track. Spend an hour or two lounging on a 30-some foot bamboo raft – beer in hand – while a local raftsman steers you through the island’s verdant heartland, past thick bamboo and liana clad guango trees. – Hike to Blue Mountain Peak and cross of an item from the top of many travellers Jamaican bucket-list. From the starting point at Whitfield Hall, the well marked, 10-kilometre trail will take you anything between five to eight hours to complete on a round trip (depending on your pace and how often you stop to marvel at the view). If you set out early enough, you could even reach the epic summit before sunrise! – Visit the Bob Marley Museum in Kingston, which has been constructed within the home where Marley lived from 1975 until he died in 1981. It is no surprise that this is the city’s most visited tourist attraction, even though there are no photographs allowed inside. Enjoy an hour-long tour through the house, which is full of insights into the Reggae-star’s life and career, including a peek at his bedroom which remains untouched since his own days there. – Tour the Luminous Lagoon in total darkness, when the enchanted waters sparkle and glisten at the touch. This exceptional phenomenon occurs thanks to microorganisms called dinoflagellates that turn phosphorescent in shallow warm waters. On a boat tour of the Luminous Lagoon, you’ll not only see fish reflected by their glow but even get a chance to swim in it yourself. Jumping off the boat, you’ll watch as your own body stirs up luminous sparkles in the dark. – Cliff Diving at Rick’s Café is one for the daredevils. Rick’s is rated one of the top bars in the world and just so happens to be home to Jamaica’s top entertainment. Professional, local cliff divers jump into the sea below the bar from as high as 85 feet above the surface (they make their living from this, so make sure to leave them a tip.) If you’re brave enough to give it a go yourself, there are three 8-, 27- and 40-feet spots where tourists can do their own jumps. – Swim in the Blue Lagoon, yes, the Blue Lagoon from the famous Brooke Shields movie, which is one of the most beautiful spots in Jamaica off-screen as well. Known locally as the Blue Hole, this 55-metre-deep lagoon is fed by freshwater springs, but also has a narrow opening to the sea. The blending of waters makes the colour of the lagoon change throughout the day between various shades of spectacular blue. – Go on a White River Tubing Safari with the adventure experts from Chukka Tours. Although the age limit for kids is six years, this tubing excursion makes for a great family activity. You’ll spend two hours floating atop a doughnut-shaped tube float down three miles of the iconic White River, passing through varied landscapes such as bamboo forests to coconut plantations. All the while, you’ll have a certified guide leading the way! – Visit Dolphin Cove where you can swim with dolphins in their natural habitat of the Caribbean Sea. Playtime is often accompanied by lots of other friendly sea life, including stingrays, and you can even swim with sharks if you want to! There are three parks located across the island and they all offer a variation of activities, none quite like the other. But one thing you’re sure to find at either location is a white sandy beach for end-of-day relaxing. – Black River Safari trips will take you on an exploration of the longest river in Jamaica (53 km), named after the mysterious darkness of its waters. Making your way through the jungle landscape you’ll come across loads of hidden natural gems. There are over 100 species of birds to be spotted, as well as everyone’s favourite reptile – crocodiles! Along the banks, you can also wave to the local fishermen catching crabs in their wooden canoes. 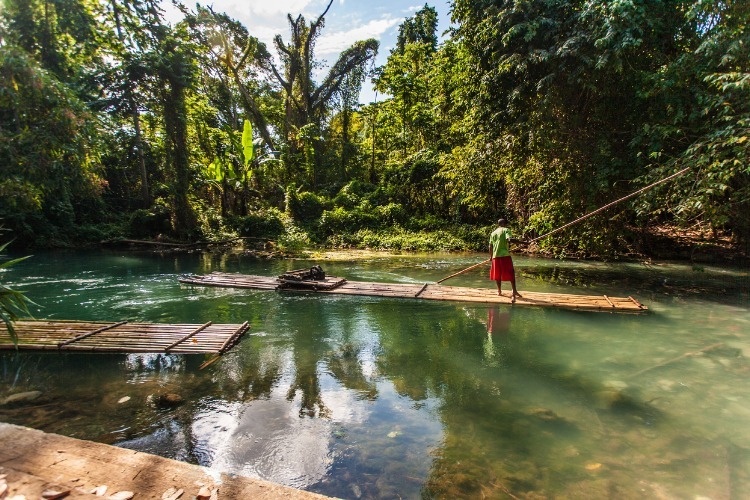 – Konoko Falls & Park was once the original settlement of Jamaica’s native population, the Taino Indians. Today it’s a lovely little tourist destination where the main attraction is a kid-friendly waterfall climb with two stops at natural swimming pools along the way. It won’t take long to complete the trip and when you’ve done so, Konoko also has a mini-zoo with lots of exotic birds as well as a beautiful botanical garden to explore. – Kool Runnings Adventure Park is the biggest and by far most popular waterpark in Jamaica. It’s always a hit with the kids, with no less than 10 water slides, the highest of which is 40 feet high, as well as an adventure zone where you can try your hand a kayaking, go-karting, paintball and lots more. The adventure park also has great family friendly restaurants, and special events are put on regularly. All in all, it’s a great day out! – The Jamaican culinary experience is a journey well worth taking. 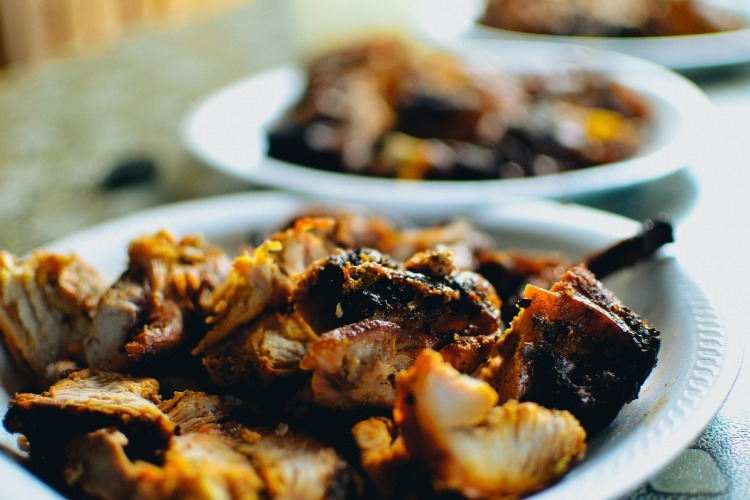 It doesn’t begin and end with the marinade and spice rub known all over the world as Jerk, although that is certainly one of our favourite stops along the way. This island also offers everything from its national dish of salt cod with ackee fruit to delectable coffee, and everything in between is well worth a trip out to the Caribbean Sea. – The Appleton Estate Rum Experience is an interactive, guided tour through the history and rum-making process of Jamaica’s finest rum-producers, experts in their field for over 265 years. Rum-making has a rich history on the island, and this is the place to learn all about it – at the heart of where it happens. The tour finishes with a guided tasting led by local experts, and you’re welcome to purchase a bottle or two to take home. – The Blue Mountain Culinary Trail is a wonderful foodie experience curated by the Jamaican Ministry of Tourism to offer visitors a real taste of Jamaica, in and around the famous Blue Mountains. Along the trail you’ll find some seriously unique eateries (not to mention the best coffee you’ve ever tasted) and getting to taste their signature dishes is a real treat. To read more about the stops on the trail, download the official brochure here. – Coronation Market in downtown Kingston just so happens to be the biggest market in the Caribbean archipelago. Much more than food is on offer here, but we’ve come to love it for its incredible local produce and street meals in particular. The market gets incredibly busy on weekends so plan your visit for early in the morning. Head straight for the covered section, where things are much less chaotic but the food is just as good. – Miss T’s Kitchen was founded back in the day by Miss Anna-Kay Tomlinson, a self-taught cook who turned her passion into one of the best restaurants on the island. The restaurant’s rustic country cooking is a real celebration of Jamaican flavour and is especially famous for its oxtail soup and great wine selection. At Miss T’s, there are no walls, and as indoor meets outdoors the best thing to do is just sit back and enjoy the atmosphere. A direct flight from London to Jamaica take just over 10 hours, so strap in with some good in-flight entertainment and all your favourite snacks. The local currency is Jamaican Dollar (J$) but accommodation rates are usually in priced USD and plenty of tourist-friendly businesses will accept either. It might take you some time to get used to the Jamaican accent, known as Patois (but pronounced patwa), which is a very relaxed form of English mixed with other languages such as French and English. Chances are, you’ll be approached for money at some point during your stay. 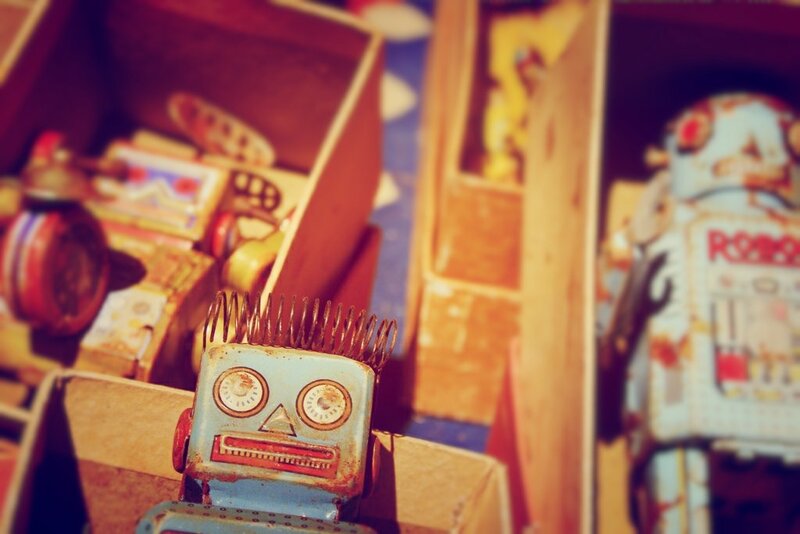 There is no need to give anything if you don’t want to, but you might find it inefficient to simply walk away. Politely say “I’m alright” and you should be left alone. 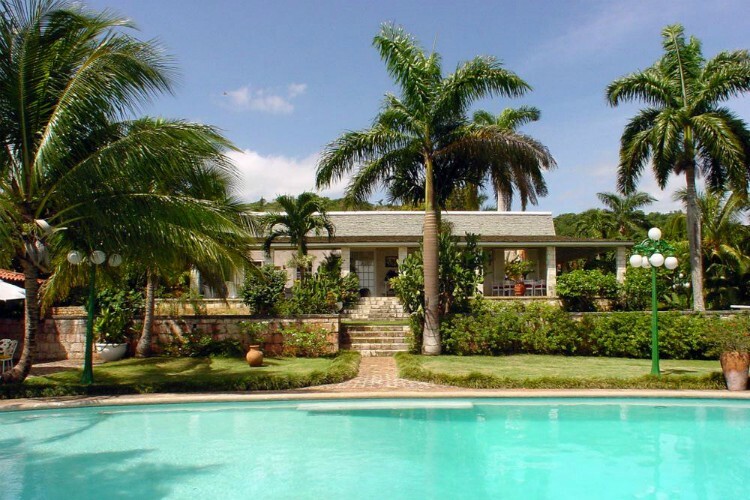 Drambui Estate is the perfect base to discover Jamaica. sleeps up to 10 people.